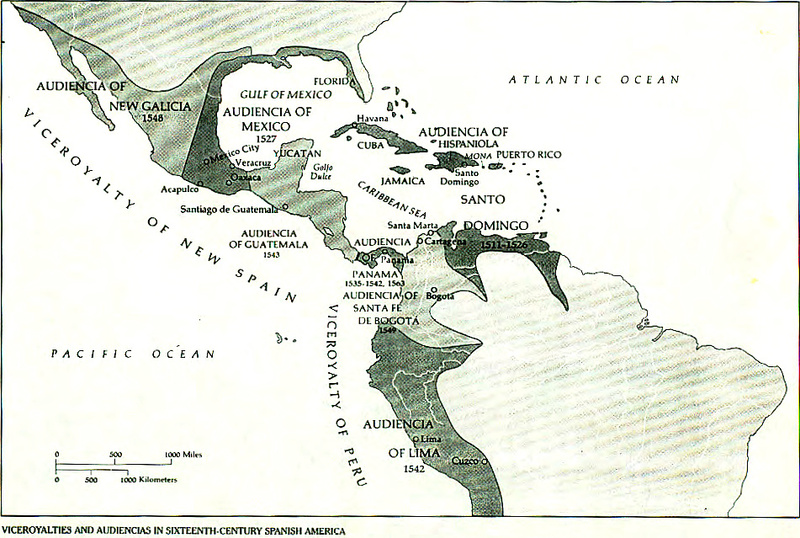 The Viceroyalty of Peru was divided in the audiencias of Panama, Santa Fe (approximately modern Colombia), Quito (approx. Ecuador), Lima (approx. modern Peru), Chile and Charcas (approx. modern Bolivia, Argentina, Uruguay and Paraguay). At the same time, the Portuguese colonies in South America were organized in the Viceroyalty of Brazil. In the 18th century, the expansion of the colonies and the rise of the population brought about a reorganization of the administrative system. New Viceroyalties appeared and the outdated audiencias became kingdoms and captaincies or provinces. Provinces of the Viceroyalties of Peru and Rio de la Plata, early 19th cent. Grey area = tribal territories (indepent. Indians). In 1717, the Viceroyalty of Peru was divided in the Viceroyalties of New Granada (modern Ecuador, Colombia and Venezuela which was already detached from New Spain and annexed to Peru) and Peru (the rest of the old Viceroyalty). In 1776, the New Viceroyalty of Peru was divided in the Viceroyalties of Peru (modern Peru and Chile) and Rio de la Plata (modern Argentina, Bolivia, Uruguay and Paraguay). The three South American Viceroyalties were divided in a number of captaincies and provinces. A Carib Warrior (artwork by George S Stuart). 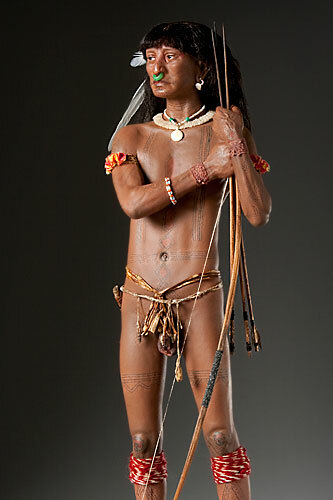 The Caribs or Canniba were fierce warriors and cannibals (the word ‘cannibal’ and the name of the Caribbean Sea originate from their name). They lived in the small islands of the Caribbean and the major area of the Orinoco. Due to the terror that they were causing to the European settlers, they were almost exterminated by them. The Viceroyalty of New Spain was more exposed to external threats by the other European colonists and after 1783 by the US, thereby it was provided with a more sophisticated administrative system. In the 18th century, the Viceroyalty was divided in General Captaincies, Kingdoms and captaincies/provinces. In 1817 it comprised the General Captaincies of Guatemala (Chiapas and modern Central America), Yucatan and Cuba (Cuba, Santo Domingo and Florida), the Kingdoms of Mexico, New Galicia, New Santander, New Leon and the provinces of New Estremadura , New Vizcaya, New Navarra, Baja (Ancient) California, Alta (New) California, New Mexico and New Philippines (modern Texas). All these regions except Central America and the islands, are nowadays parts of Mexico except the last three provinces which are states of the USA. The Viceroyalty of New Spain continued to include also the Philippines and all the other Spanish islands of the Pacific. In the 18th century after the French and Indian War, the vast area of Western Louisiana was annexed for a few decades from the French and was lost again to them, who immediately sold it to the USA (1803). In 1819 Spain under the threat of the American army, was obliged to sell Florida to the US. The independent states of South America in 1830. 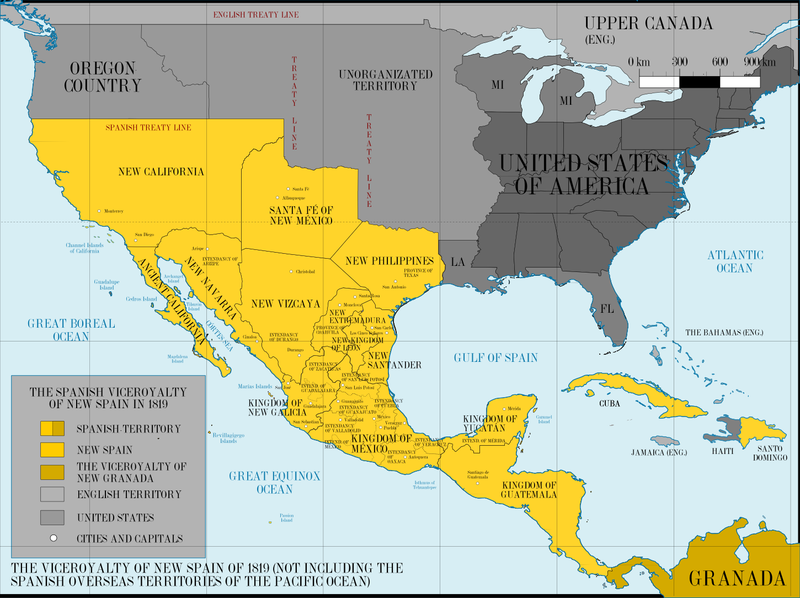 In 1809-1825 the Spanish colonies revolted and finally gained their independence, and the four viceroyalties were divided in the modern independent countries of Spanish-speaking America. On the contrary, the vast Portuguese Viceroyalty of Brazil remained united in one country; the Brazilian Empire and afterwards modern Federal Republic of Brazil (independent since 1822). The islands of the Viceroyalty of New Spain comprising Cuba, Puerto Rico, the Philippines and the smaller islands remained under Spanish control after 1821 and until 1898-1899 when they passed under the sovereignty of the USA. The continental part of the viceroyalty was divided in two independent federal unions: the Federal Republic of Mexico (including New California, Texas and New Mexico, later lost to the US) and the Federal Republic of Central America (former General Captaincy of Guatemala). After a period of turmoil, the latter was divided in the modern countries of the region, i.e. Guatemala, Nicaragua, Costa Rica, Honduras, El Salvador. 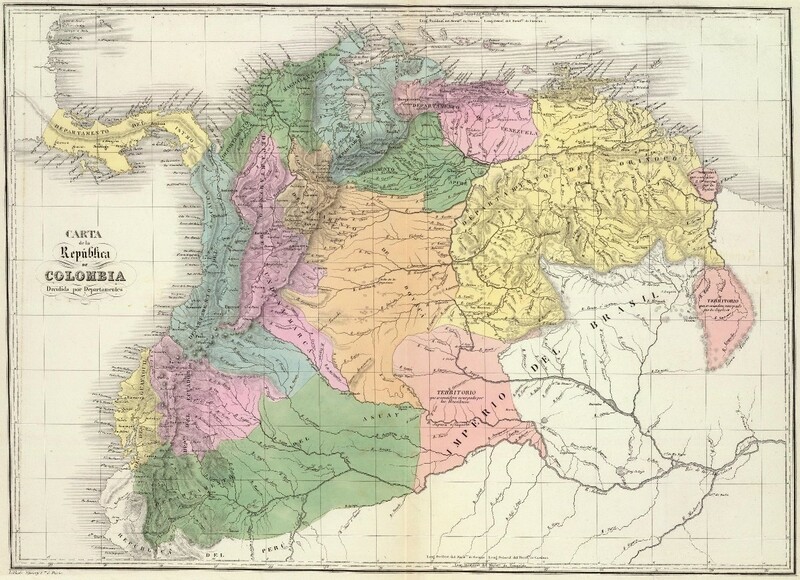 The Viceroyalty of New Granada initially became the Federal Republic of Gran Colombia but soon it was divided in the independent countries of Colombia, Venezuela and Ecuador. In 1908 Panama declared its independence from Colombia. 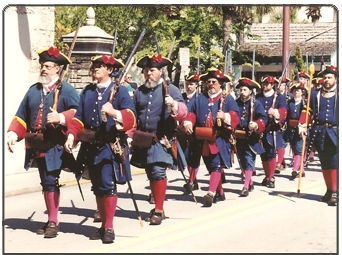 18th Century Spanish colonial soldiers in Florida (reconstruction). Argentine Confederation (former Federal League) and the State of Buenos Aires in 1858. pueblos originarios = tribal territories (Indians). The Viceroyalty of Peru was divided in the independent states of Peru and Chile, while the Viceroyalty of Rio de la Plata remained united for a few years but very soon the provinces of Upper Peru (Bolivia), Paraguay and Banda Oriental (Uruguay) became independent. For a few years, Banda Oriental was annexed by Brazil but soon (1828) the Uruguayans managed to drive off the Brazilians with military aid from the Rio de la Plata. 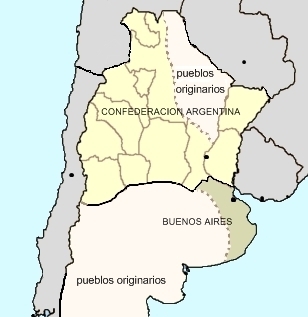 The rest of the provinces of the Rio de la Plata became the independent United Provinces, which after several decades adopted the national name “Argentina”. It was a loose confederation under the compulsory lead of the state of Buenos Aires, a condition that caused two civil wars and several civil conflicts among the Federalists and the Centralists. 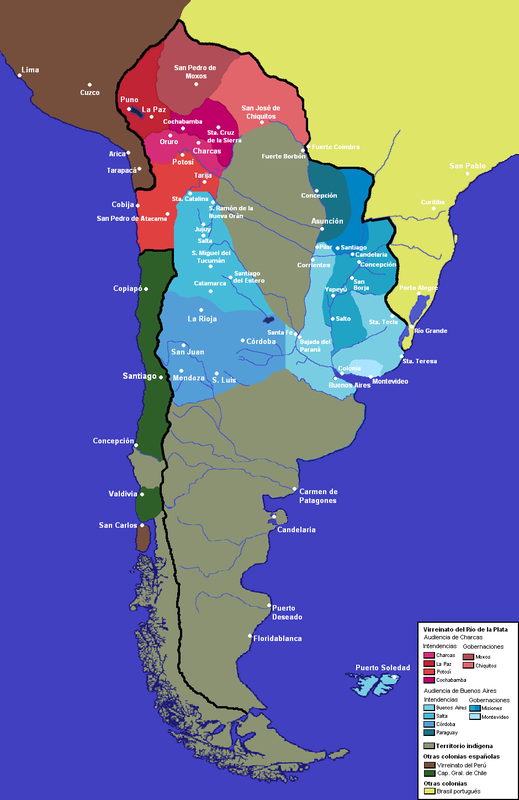 Even today Argentina has some problems with the tendencies of its federal provinces for more independence. 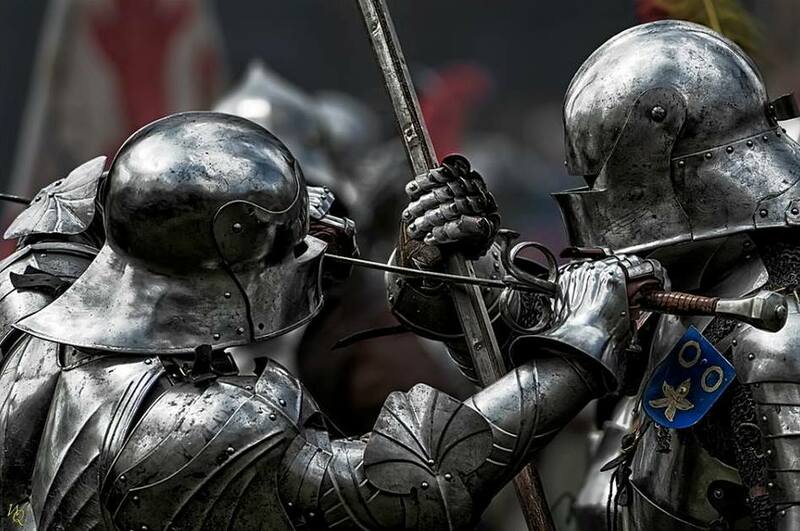 Φοβερη η φωτογραφια των reenactors. Οι Ισπανοι ιππεις εμοιαζαν με…… τεθωρακισμενα. Οι ημιγυμνοι ιθαγενεις της Αμερικης, με τα πετρινα και ξυλινα οπλα, ειχαν τοσες πιθανοτητες απεναντι τους, οσες και το πολωνικο ιππικο κατα των γερμανικων αρματων το 1939.